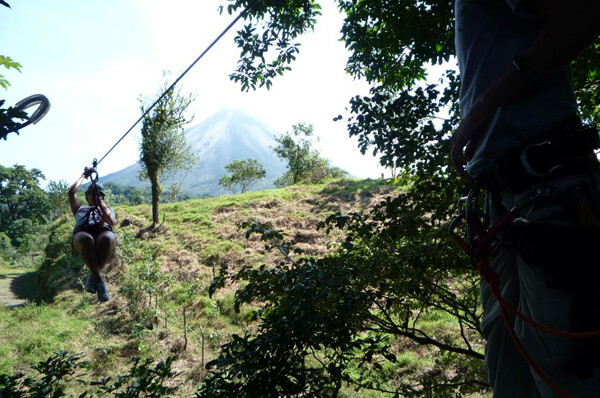 Over and through the rainforest with the Arenal Volcano in the background. 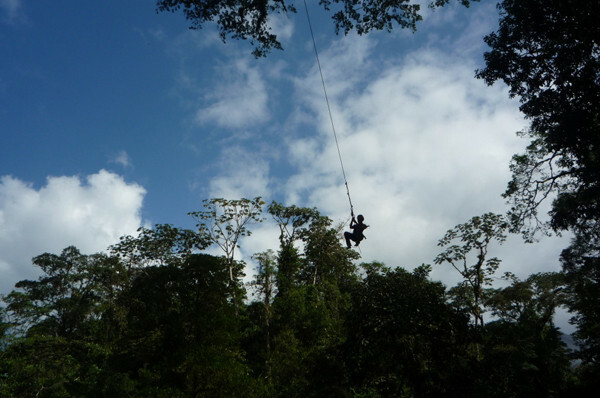 Experience the thrill of your life on horseback riding, hiking through the rain forest, and gliding through the canopy as you sail through the treetops from tree to tree and platform to platform using pulleys and harnesses on horizontal traverse cables while you admire the nature and have fun. 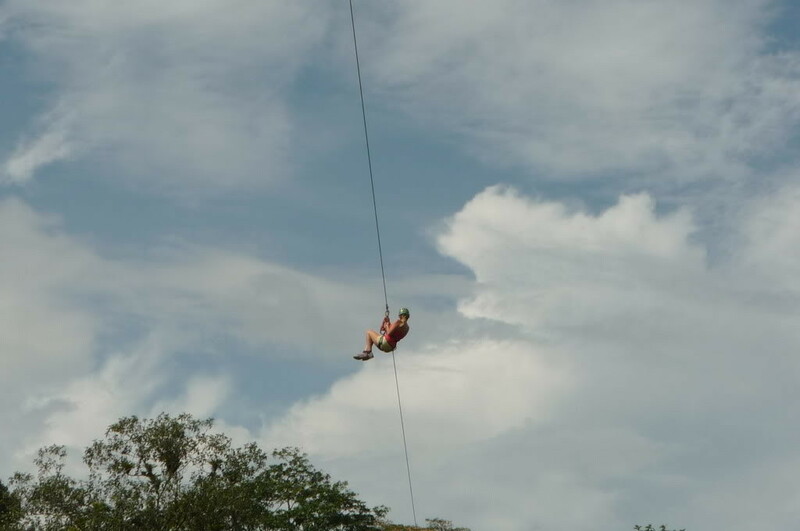 - 10 cables of Zip. - One hour Horseback Riding. 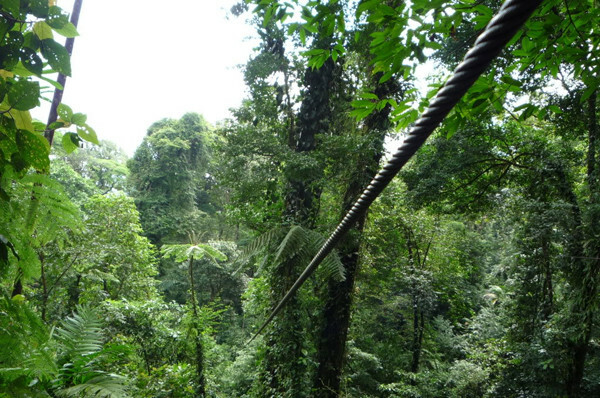 - El Silencio Reserve Arenal Volcano Observation point. 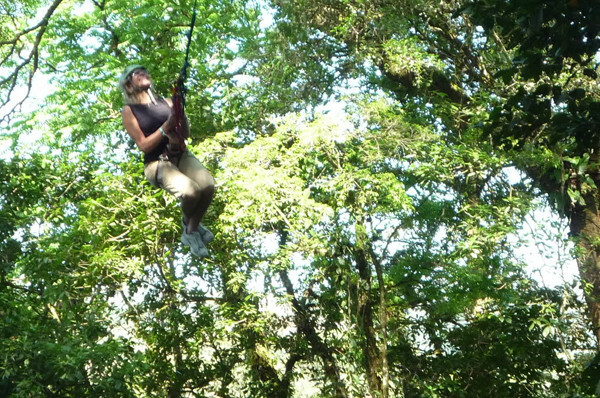 - Free Hotel pick up and drop off in La Fortuna. 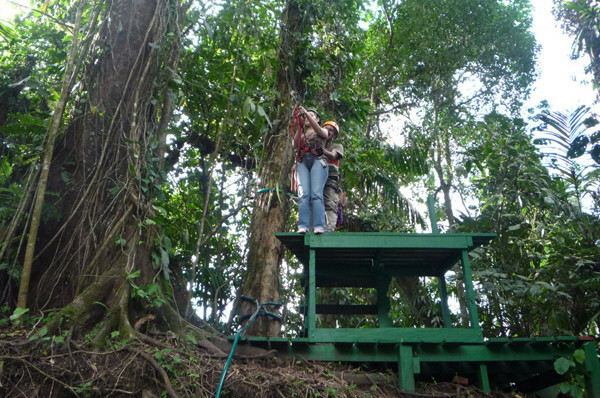 - At 10:30 a.m. and 3:00 p.m. you can enjoy just the canopy tour without the horseback riding. - Please let us know the name of your hotel to tell you exactly the pick up time. 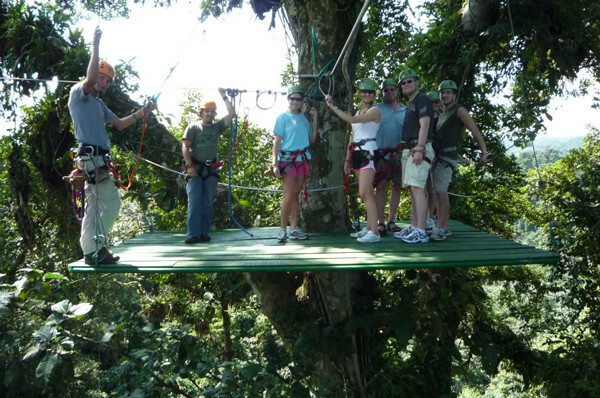 - The complete tour with horseback riding: 2.5 or 3 hours. We recommend long pants for the horse ride, tennis shoes or closed toe shoes, sunscreen and insect repellent. 8:00 a.m 10:30 a.m. 1:00 p.m.